We sit in the function room of a central London pub. Downstairs a buzzy crowd is watching the rugby world cup, Wales vs. South Africa, to be precise. Occasional shrieks of excitement carry up the stairs. A whistle blows. There are distant sounds of heckling. Nothing more frustrating to a keen audience than a halt in pace. And there we are upstairs discussing just that. How can we, as writers, avoid interrupting the pace in our plot as we flesh out a narrative? 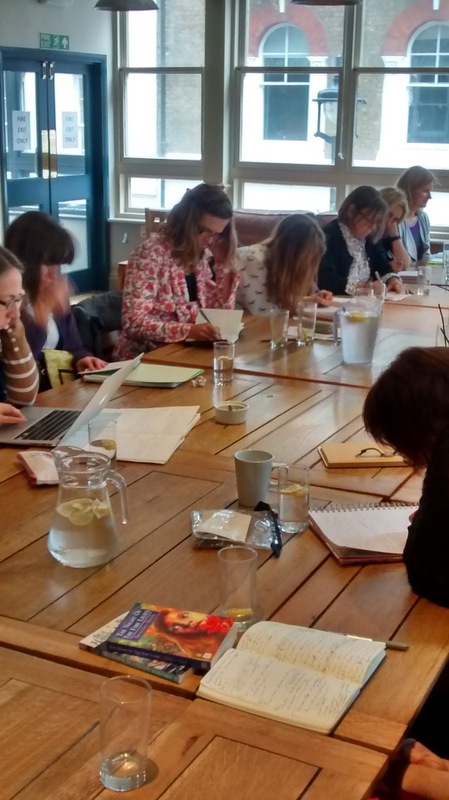 We were fortunate enough during the last in this year’s SCBWI Masterclass series, to be able to drink in Beverley Birch’s wisdom on this topic, as well as many others. 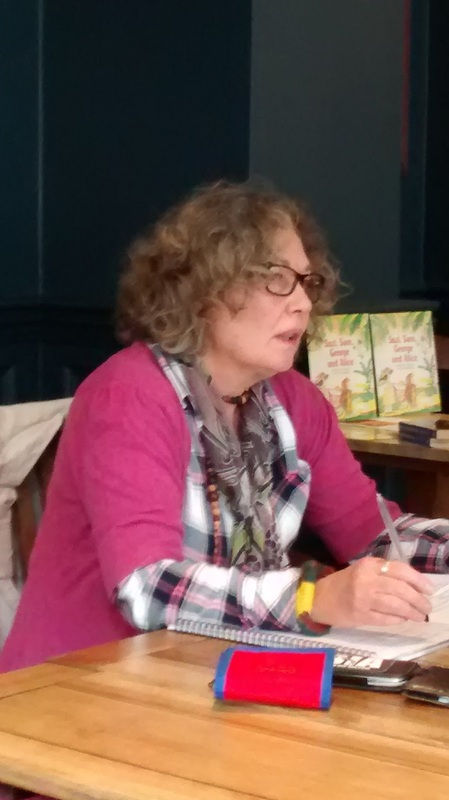 Having worked for many years as a commissioning editor for Hodder Children’s Books and written upwards of 50 books herself, she undoubtedly has this skill pinned down tighter than a rugby player’s shorts and she imparted to us some of her successful techniques for evading the dreaded halt in action. Among them; be efficient in your writing – make each word count. Be strategic in your use of tense and don’t settle for weak adjectives. Beverley encouraged us to further explore this idea by setting us the task of writing a passage from different viewpoints ; first in our preferred style (first person or third person), then challenging us to explore the alternatives, keeping at front of mind some of the things we had discussed earlier. Afterwards, we reflected on our writing and discussed what we had learned. 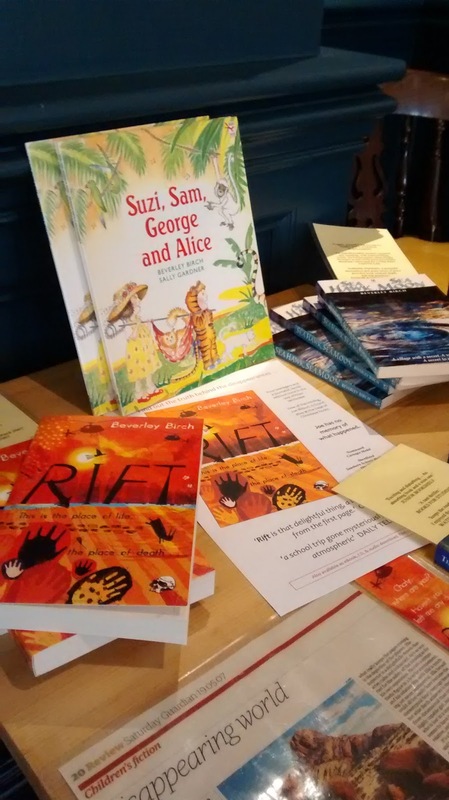 You can’t guarantee much in life, but what you can guarantee about a SCBWI event (aside from it being immaculately organised – huge thanks to all involved) is that it will be ripe with thoughtful and diverse ideas. How ironic that there were dozens of points of view on ‘what exactly is a point of view’. One thing we did find consensus on was that the experience was one of enriching self-exploration and discovery. A SCBWI member isn’t too different from a rugby player really (bear with me.) Both are hungry to achieve, dedicated and passionate. It’s also true that both operate in a hugely competitive environment, as much controlled by financials and contracts as by raw talent. The romantic ideal of manuscripts being readily scooped up by time-rich publishers is far from reality and any writer will admit this can be disheartening. So Beverley’s closing theme was sweet music to our ears. Write from the heart! Know your boundaries and how far you are prepared to bend in the quest for the elusive publishing contract. It was an uplifting and energising way to finish and a practical one at that. As we packed away our newly fortified notebooks, we were invited to check out other organisations that can support us writers on our journeys including the pioneering Golden Egg Academy, an organisation focussing on mentoring and structural editing for promising authors, and the Children’s Writers and Illustrators in South London network, both of which Beverley is involved with and supports. The session drew to a close and so did the match . I braced myself for my descent down to the bar; as a Wales supporter the silence didn’t bode well. And indeed Wales had lost. They were out of the cup. But even with my national pride somewhat dented, I stepped out of the pub elated. What better way to spend an afternoon than immersing yourself in the company of truly inspiring individuals, learning from a master, tuning your craft? And I managed to fit in a cheeky glass of wine, too! Alexandra lives in North London with her husband, Enrico, and son, Leonardo. Since graduating in Economics and International Development at Bath University she has worked within Financial Services for a number of leading, multi-national firms. She is currently employed full-time as a Vice President in Operational Strategy where her writing outlet is commercial reporting, however her passion is writing picture books and young adult fiction. As a mother to her young son, she spends the majority of her spare time surrounded by kids, camping out in children’s libraries and having adventures in the park, conjuring up ideas for her next plot. Watch this space! thank you for a lovely write-up. The afternoon was rich in the cross-fertilisation of ideas from everyone - why I love being guide in these kinds of discussions. Thanks for having me!